With over 30 years of experience in the operational field of the service industry in six different countries, Stangenberg developed a tremendous understanding of service excellence and the importance of service engagement between associates and guests, members or customers. He taught the school of service in many countries and owned and operated private service schools in Aruba and Maui. His experience as an executive hotel director required him to play a constant role as a coach and trainer, understanding how to engage employees on all levels. His upbeat, interactive and motivational style of facilitating “blended learning” has touched and influenced associates and leaders in all areas of hotels, clubs and restaurant organizations. Stangenberg has received numerous leadership awards and is currently used by world leading resorts and clubs as the master coach, responsible for employee and leadership development. Stangenberg facilitates fluently in English and German. 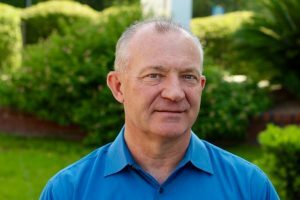 With over 22 years of experience in the operational field, sales, and catering of the service industry, Brian’s understanding of “service is a feeling”, and the importance of service engagement between associates and guests, members or customers, has guided him to a successful career in the hospitality industry. He has been educated by the top French culinary schools, prestigious Country Club organizations, American Culinary Federation, and top grossing hotel chains. His experience as an executive hotel director required him to implement, coach and train managers in understanding how to engage employees on all levels. 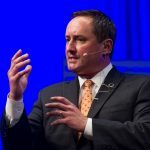 Brian’s direct, interactive and motivational style of facilitating “blended learning” from the core goals of Q-Principle has touched and influenced thousands of associates and leaders in all areas of hotels, clubs and service organizations. Q-Principle has received numerous leadership awards and is currently used by world leading resorts and clubs as the source for coaching and learning, responsible for employee and leadership development. Brian’s focus on technical skills and strategic curriculum design has earned him numerous awards in the field of education and the hospitality industry. 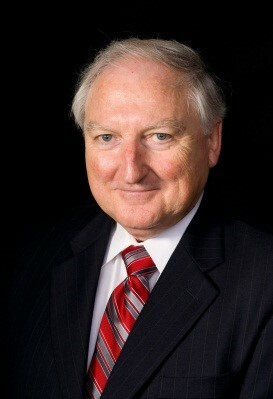 John is Executive Vice President – Chief Financial Officer and Chief Operations Officer for Q-Principle, Inc,. since assisting with the forming of the corporation in January 2006. Prior to Q-Principle, John was involved in various start-up operations in an executive management role and as a consultant in various other start-up endeavors . John worked in the mortgage lending and banking industry for 25 years, holding senior-vice president, operations and sales management and various other management positions with lending, servicing and Internet service providers. Austin McGonigle is founder and president of Success Cycle, a twenty-eight year old company that teaches interaction skills that ensure success in business and in life. In 1998, Austin founded the Georgia Speakers Bureau to assist meeting planners in selecting the right speaker to meet and exceed their meeting objectives. He has authored numerous audio cds with his most recent being Take Rejection Personally. His radio talk show “One-To-One with Austin McGonigle” was the most listened to show on Business Radio 1160 AM in Atlanta in 2008. 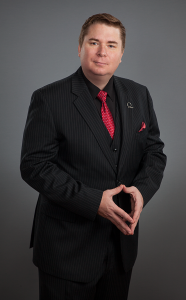 Austin McGonigle is one of only 500 speakers in the world who has had the designation of Certified Speaking Professional (CSP) from the National Speakers Association. Austin was the 2005 recipient of the coveted Kay Herman Legacy Award for excellence in the speaking industry. Austin has inspired thousands of professionals by improving public speaking skills, sales skills, customer service skills, and leadership skills. Austin functions as an active speaker and coach and works as the personal speaking coach with the CEO of Q-Principle, Andy Stangenberg. Russ has 30 years of experience in luxury resorts and business hotels in the United States, Europe, and the Caribbean as Director of Operations, Director of Food and Beverage, and earlier in his career, as an Executive Chef. Russ most recently ran his own consulting company, Focus F&B, where he focused on sharing his passion for Food and Beverage. Russ believes that Reputation = Revenue, and in turn, Revenues + Systems = Profit. Russ understands that without revenue, profit will be small, or inconsequential. He is focused on building the passion, skills, and knowledge of F&B leaders with the ultimate goal of giving them the confidence to make this happen. By coaching and developing leaders to find that entrepreneurial spirit and make it a reality in their everyday life, their success, and the success of their operation, is ensured for years to come. In this current climate, we all know it can be hard to find skilled servers. These skills often need to be taught from scratch. Russ leads all levels of certified service coaching skills. Russ is a passionate coach of F&B service skills and understands that building a culture of service is key. His industry-leading articles and insights have been featured in Hotel F&B Magazine.